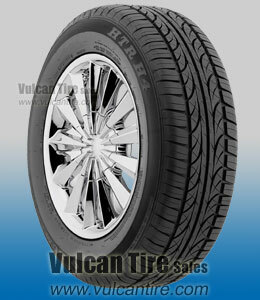 These are very good quality tires at an attractive price. Shipping was prompt and rates were reasonable. Competes favorably with Discount Tire in this area. Good shopping experience. I would recommend these tires for long highway trips, as they perform very well. Great tires for the price. Really, can't beat em. I have them on my Suby Legacy and they work awesome with the AWD in the snow. Incredible grip. Like the wonderful sales said at Vulcan, they do have a bit better wet/snow grip than dry. What I prefer though. On occasion, tires have been driven rough through canyons and have held up beautifully. i think these tires are very moderate priced and wear pretty good.